Are you nuts about baking? Are Victoria sponges your jam? Then pop on your pinny, flour your kitchen surfaces and rise to the challenge of Bake it Big! 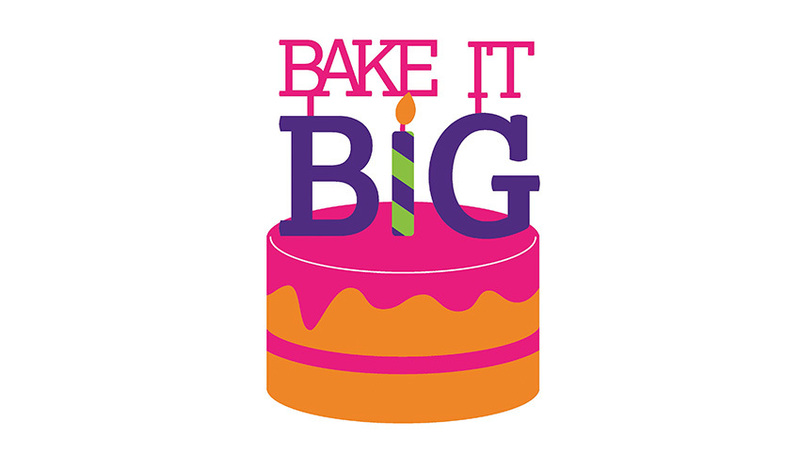 Hosting Bake it Big is simple, all you need to do is sign up and we'll send a free fundraising pack choc-full with materials including bunting, cake toppings, a collection tin and more. Everything you need to plan the biggest bake sale yet! Try your hand at healthy options too and get as many people as you know involved - the bigger the bake, the bigger the impact! So why not spring into action and earn brownie points with your colleagues, friends and classmates, knowing that every penny supports life-saving equipment and research, as well as the little things that make life better for our young patients and their families. If you need some inspiration, you can check out mouth-watering recipes from our staff and supporters. We'll also be sharing recipes from famous bakers, so do check back! So give it a go - muffin ventured, muffin gained!